Maintaining solo first, playoff positioning, getting that elusive victory. 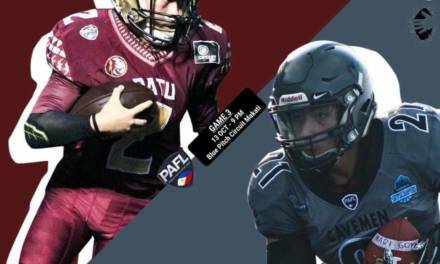 These are a few things to note when the Philippine American Football League continues tomorrow, October 13, at the Circuit Makati Blue Pitch from 3:00PM to late evening, with all teams seeing action. 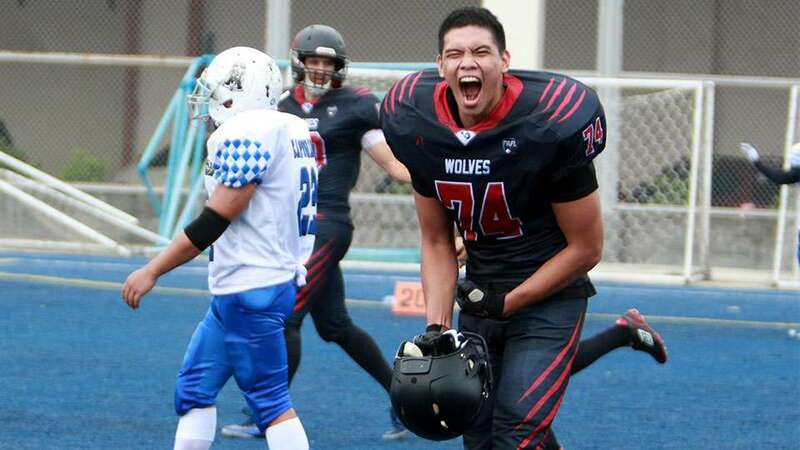 The Olongapo Warriors (1-2) are looking to build off from last week’s win to go through a brick wall that is the Wolves (3-0), whose fresh off a bye week, at the 3:00PM slot. Defensive lineman Jeff Deperio believes the obvious they are the underdogs heading to the game. “The Wolves may have superstars but our team has heart and we are going to leave it all on that field [tomorrow],” Deperio said. He added that the Warriors will be hard-pressed on preventing the Wolves to drop the bombs on them. “There is no denying it, that they are really good. Stopping their passing game is the main objective, though it is easier said than done. But don’t count us out just yet. We are going to double our efforts,” Deperio said. The undefeated Wolves, tied for first in the standings and assured of a playoff berth, are doubling down in this game and go for four-and-O, after going through lopsided games. For Martin Antonio, tight end and team captain, it is just a matter of taking it to the next level every game and getting everyone involved. As the Wolves have averaged a minimum of 80 points per game that makes it look like a basketball score, Antonio said it was never the intention to drum up the score that high and anything less is not a disappointment. “We just want to win ball games, like everyone,” Antonio said. An interesting match takes place at 6:00PM with the Juggernauts (0-2), rebuilt and retooled with five different squads, taking on the rookie-laden Rebels (0-2). 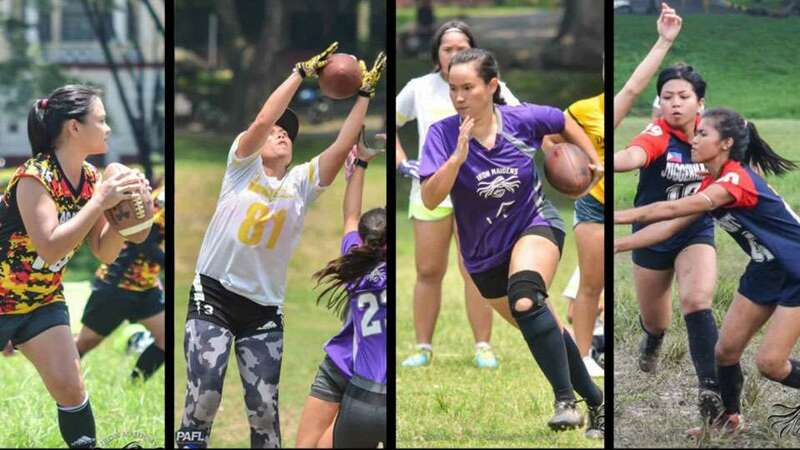 Both teams have yet to make a mark in the win column this season, though the Juggernauts may have the upper hand as they have managed to put a score on the board, averaging almost 10 points a game. Coach Angel Calugay Jr. believes the weekend off gave them time to prepare, as it was the best time as any for a breather after going up against the Wolves and the Cavemen. “The bye week gave us time to look at and correct our mistakes from the last game, and practice our plays to execute correctly and perfectly. What we were able to accomplish should carry us through this game,” Calugay said. Another coach of the Juggernauts, Miguel Suaco, is hopeful the team has reached the tipping point. “I’m hoping that things finally click for the team. We have progressed from correcting our mistakes to learning new things but we’re not taking the Rebels for granted,” Suaco said. The Rebels, meanwhile, have yet to find their groove after two disappointing outings against the top teams in the league. Now that it is out of the way, the team is focused on getting back on track after having their baptism of fire against the best. Ricafort noted that the learning curve should not be a deterrent to the team’s success this season. “We still have a chance to make the playoffs, but it’s still going to be [a] tough [road ahead]. Majority of us are still rookies and some have only played their first game this season so they’re still adjusting. We all are. But if we do well, I believe we can still make the playoffs,” Ricafort said. Saturday’s finale features the Datu (1-1) looking to solidify their middle-of-the-pack position and stay in the playoff hunt as they meet the undefeated Cavemen (3-0) at 9:00PM. The Cavemen shut the door on the Datu in their Season 2 playoff showdown, jettisoning them to the championship round. This may serve as a revenge game for The Tribe and their long break gave them ample time to recharge for tomorrow. 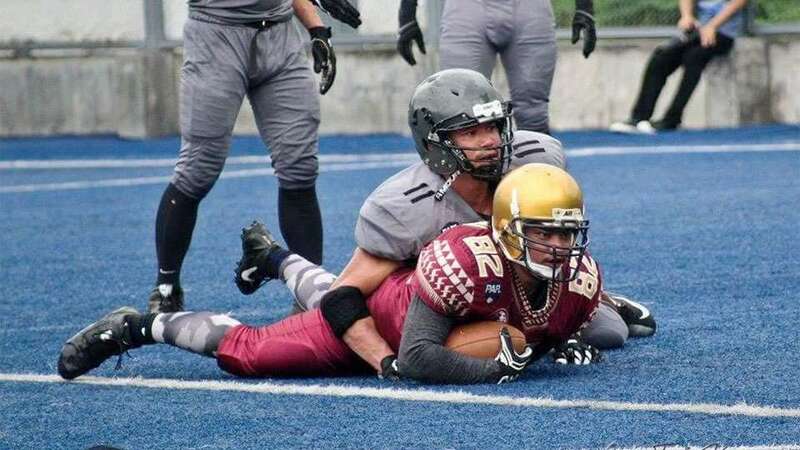 Back in Season 2, both teams have always had tight games when facing each other, with the Cavemen beating them in the regular season and in the playoff semifinals. Maintaining the level of intensity and consistency of teamwork is what the Cavemen attribute their victories to.